Trashed this mission in my Hurricane, never even got past 60% shields. Caracal with T2 fit (including drones) completed it just fine. Mission succeeded easily with a Thorax. 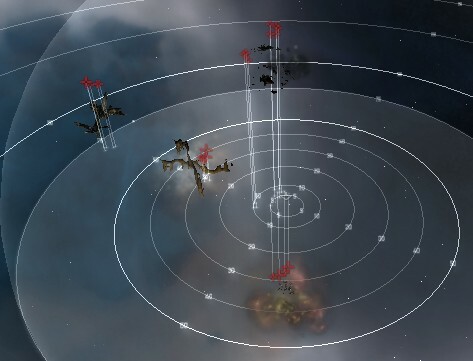 If you do kill the rats, they're worth 535k isk in bounties. Tend to use artillery weapons for long range attacking. Very useful for getting rid of those webifying/scrambling frigates. Never got webbed or scrambled. Pinned 'em down before they could engage my Hurricane. Loyalty points, mission reward and bonus have no place in the report because they are based on variable criteria. Mine was worth 852 LP, 216k reward and 226k bonus. Mission completed in a Bhaalgorn. Shields never dropped below 90%. Even for a level 3, this is a ridiculously easy mission. Did this in a Ferox w/ Meta 4 rails firing antimatter, LSB II/AB/invuln II+kin/therm hardeners, TE2/DCU2/2xMagStab2 with moderate gunnery skills. Took down each group 1-by-1 at 30-40km. I, maybe, saw it go as low as 97% shields.